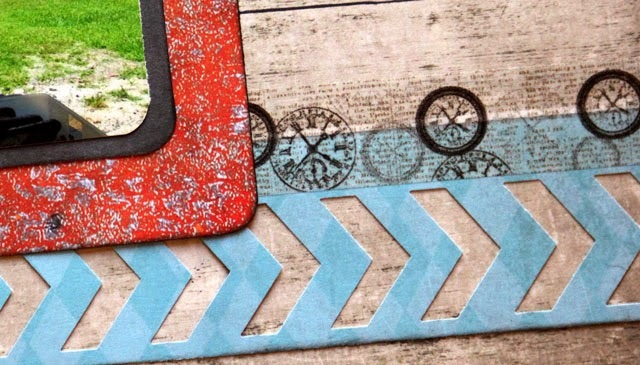 This month my Scrappin' Goodtime Design Team assignment was to create projects using Kaisercraft's Garage Days Collection. 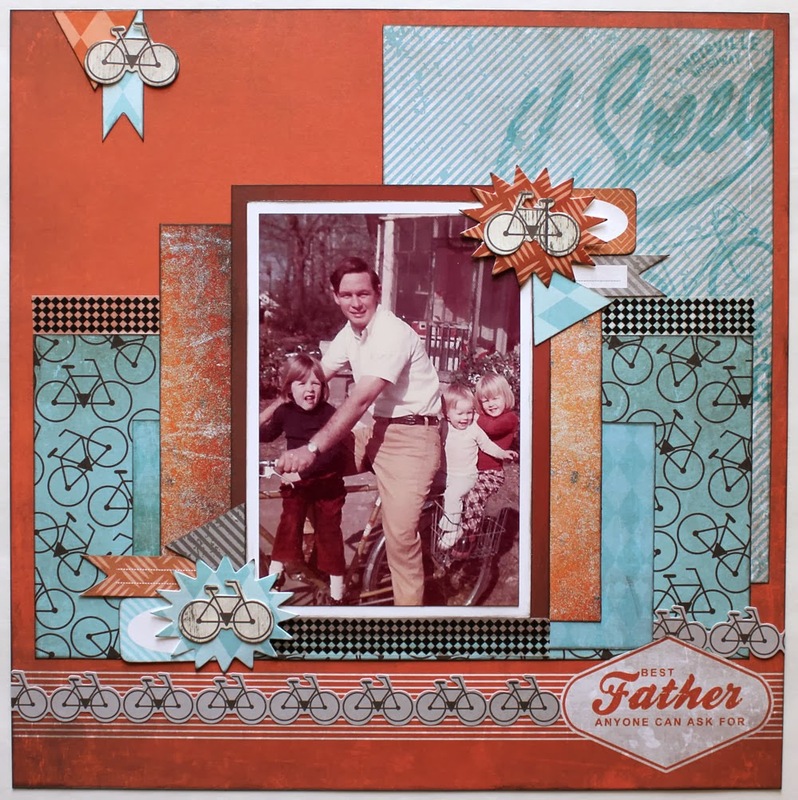 This is a fantastic masculine collection of papers, stickers, and embellishments filled with tires, cars, bicycles, grease, and accolades for dad! 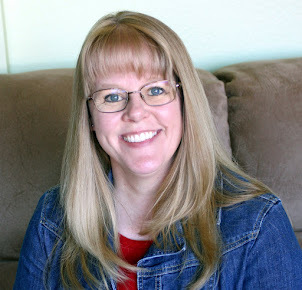 Check out my post on the Scrappin' Goodtime blog to see all the goodies that came in my kit. So far, I've created three layouts with this kit. This first one showcases a favorite photo of my Daddy with the three of us girls all on his bicycle - I think I'm about three-years-old in this photo. 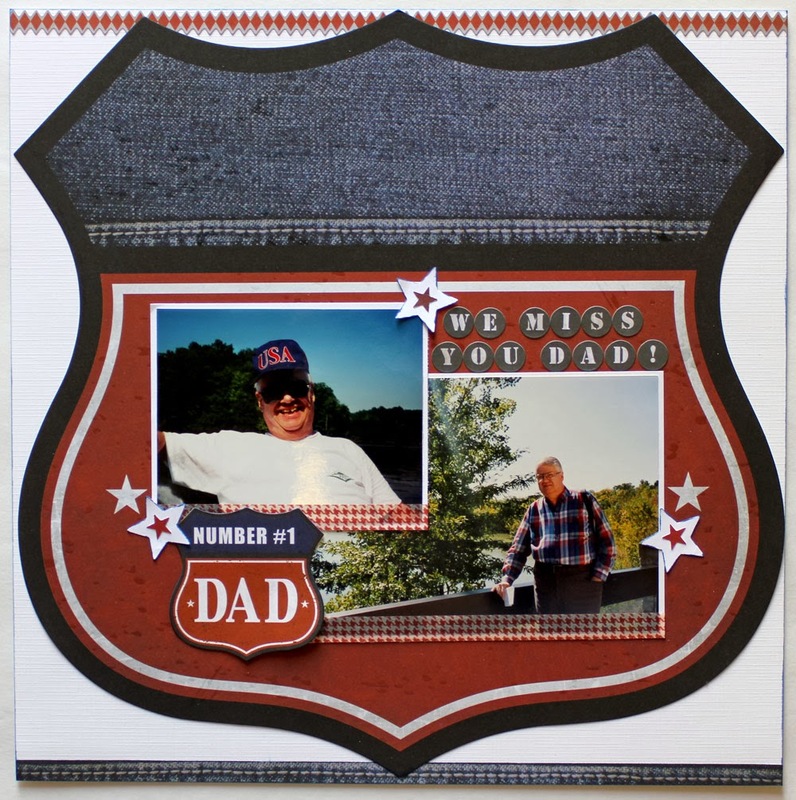 Next I used a 12x12 die cut paper to create a layout with a couple of photos of Robbie's Dad. 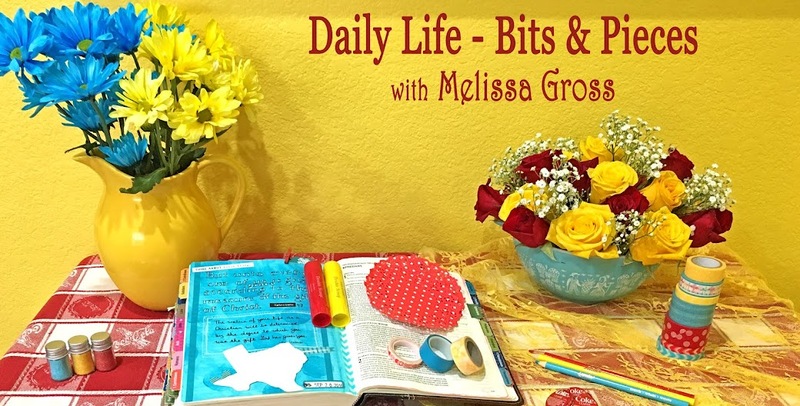 This last layout is a connections layout, one that combines photos from different times and incorporates a story over time. 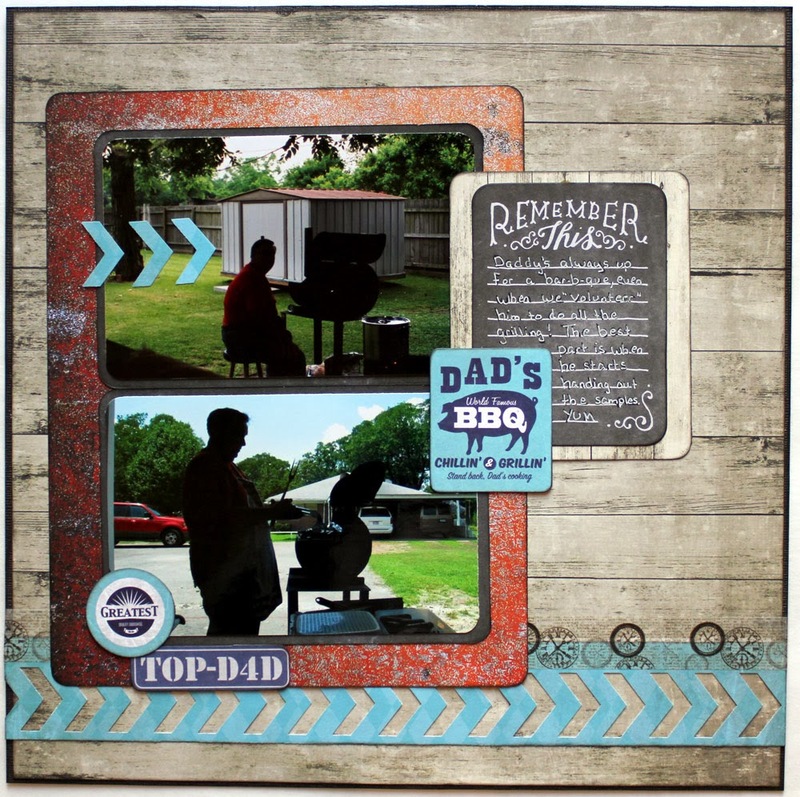 I put two silhouette photos of my Daddy together a while back with the idea that I would scrap them together and tell how Daddy's always willing to BBQ, even when we "volunteer" him. When I saw this embellishment in the Garage Days Collection, I knew it was time to complete this layout. All the papers are from the kit, however I also added a journal card and two photo mats from the We R Memory Keepers Chalkboard Albums Made Easy kit. And just because Jacky's been using her chevron punch lately, I was inspired to pull mine out and use it along with a strip of washi tape on this layout! I've got one more layout idea and quite a few cards I want to create with this kit, so watch for those soon! Have you scrapped about your daddy lately? I love how well these papers work on masculine pages....and that photo of you all on the bike is wonderful. I really like that weathered board and chalkboard effect - just super with your photos. great masculine layouts, I so want that punch! My most favorite layouts are the ones that make a connection over time. I love the "now and then" aspect. It's fun to compare not only what is going on in the photos, but the hair, clothing, furniture, decor, etc. Plus it's a great way to incorporate more than one photo. Wow, these are all absolutely fabulous! Love that bicycle paper especially! Awesome job Melissa! I absolutely love that first photograph of you, your sisters, and your dad. What a wonderful layout! Thanks for the reminder to scrap about my Dad. 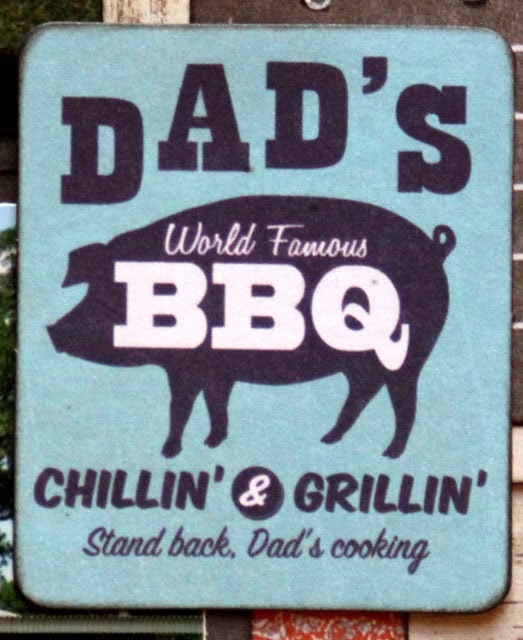 Love that first photo of y'all together and the grilling block and silhouetted shots go so nicely with the weathered wood textures and black chalk board.